Newspapers are the best. Solid reporting here by The Newark Star Ledger. 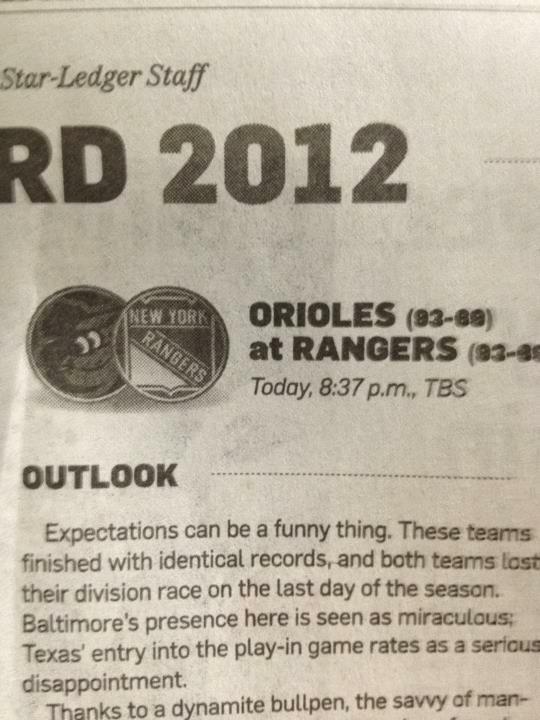 This entry was posted in Hockey, MLB and tagged Orioles, orioles vs. new york rangers, Rangers. Bookmark the permalink.